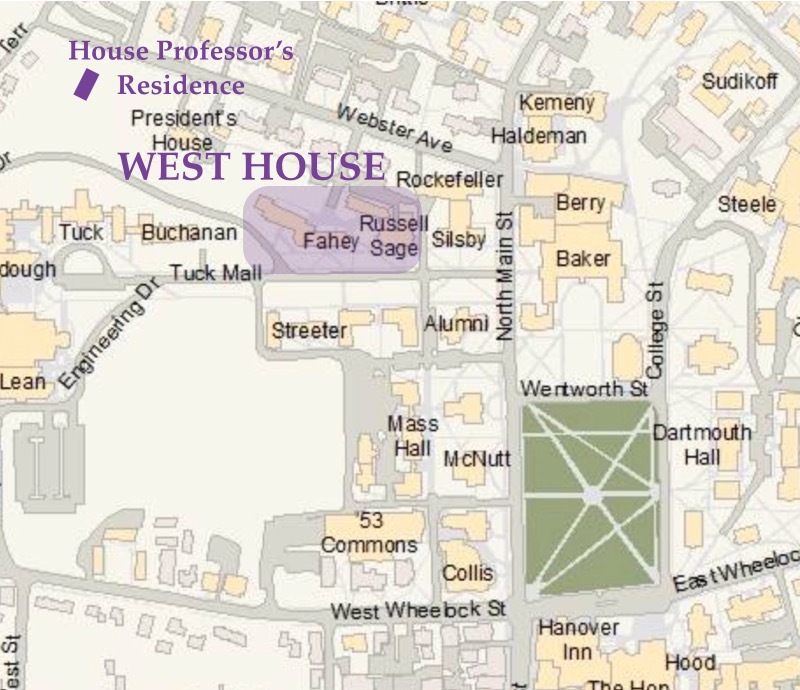 The West House buildings occupy a central location on campus, comprising Butterfield, Russell Sage, Fahey, and McLane Halls that serve as the main on campus residences for upperclass West House members (first-years live primarily in dedicated first-year residences, while House members can also live in Living-Learning Communities, Affinity Houses, Greek organizations, or off campus). 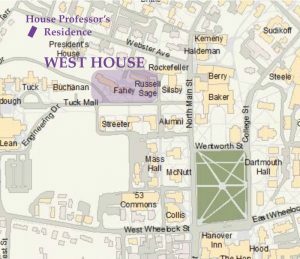 West House includes a number of common spaces, including the two main lounges in Fahey Hall and the Hyphen, between Butterfield and Russell Sage Halls. For full floor plans of the West House residence halls, please click here. The West House Professor‘s residence is located a few minutes walk from the main House at 18 Webster Ave, just past the President’s House on the left. 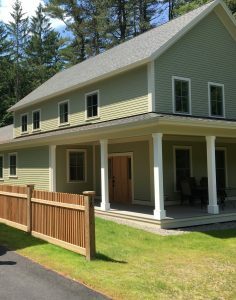 In addition to serving as the home for the House Professor and his family, it hosts a number of gatherings and events for West House members and the greater Dartmouth community.